The Dr Lanzer Clinic offers various rejuvenating treatments to its patients and the glycolic acid peel is one of them. This anti-ageing treatment provides a more youthful and refreshed appearance, so it is certainly a treatment that is regularly used at our clinic. To learn more about the nature of the glycolic acid peel and how this procedure is performed, we have created an overview of information for patients to go through. If you wish to learn more about this rejuvenation treatment, please read the information provided by the Dr Lanzer team below. How Does a Glycolic Acid Peel Work? In order to explain how a glycolic acid peel works, we need to explain the term “peel”. When a dermatologist speaks about a peel, it involves applying a product on the skin that will increase epidermal cell proliferation and remove plugs and stratum corneum within the pores. The glycolic acid peel is classed under this kind of process. 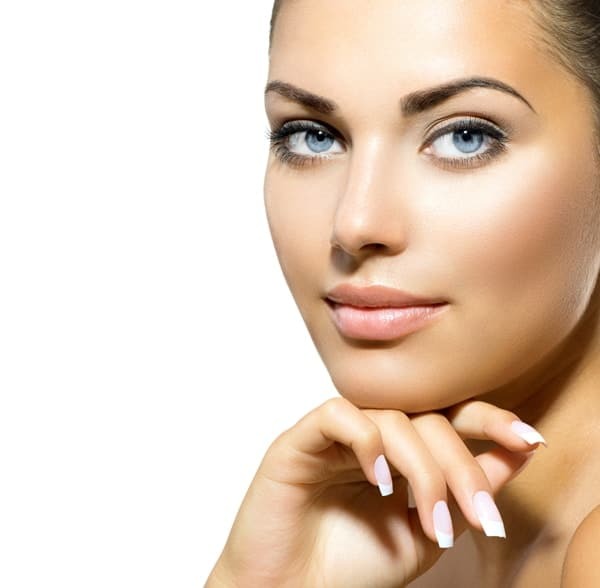 A glycolic acid peel can be seen as a special solution that removes dead skin cells from the body. Therefore, it is a treatment that can be compared to some of the commercial chemical peels found in stores. However, glycolic acid peels are more powerful and can only be executed by a trained medical professional. To start a treatment with the glycolic acid peel, the peel will be applied to the patient’s skin by a trained medical professional. The product will then interact with the skin and remove a layer of dead skin cells. It will also remove any unwanted residues from your skin; this can include dirt, makeup, and oil. What Problems Can Be Tackled with a Glycolic Acid Peel? Even though the glycolic acid peel is mainly a rejuvenation treatment, there are some skin defects that could be tackled by getting this treatment done. The treatment is commonly obtained for its anti-ageing effect, but also for skin defects such as pigmentation or acne. Where Is Glycolic Acid Obtained from? Glycolic acid is a substance referred to as AHA, which stands for alpha-hydroxy acid. AHA can be obtained from various sources; this includes sugarcane. Of course, as with most substances, alpha-hydroxy acids can be obtained from countless other sources. What Are the Benefits of a Glycolic Acid Peel? Treatment with a glycolic acid peel can be quite advantageous for the skin. The solution can stimulate the body’s ability to produce collagen; this is the substance that keeps our skin smooth and youthful. Glycolic acid peels can also reduce the appearance of fine lines and wrinkles, making it an effective anti-ageing treatment. The benefits of a glycolic acid peel are provided because of the nature of the glycolic acid as a compound. It is safe for the skin and it is small in structure; this means it can easily penetrate the skin and execute its benefits. Do I Need to Take Precautions After a Glycolic Acid Peel? A treatment with a peel does require patients to be a little careful with the products they use after the face treatment. Even though interactions are minor after your treatment, it is important for patients to be aware of them, so they can protect their skin in the best way possible. Shortly after your face treatment, it is recommended to avoid products with a high concentration of retinol or vitamin C. These products can increase your skin’s sensitivity or cause excessive dryness. During your recovery process, it is important to have ample protection against the sun. Direct sunlight can cause premature skin damage anyway and having a glycolic acid peel can increase your sensitivity to UV rays for a period of time. Fortunately, there are several things one can do to protect himself or herself against the sun. When you leave the Dr Lanzer Clinic after your treatment, it is best to stay out of direct sunlight when possible. Stay in the shade when possible and always use a good suntan lotion before you leave the house. Not only will this protect your skin, it can further stave off some common signs of ageing. The use of too many products – and sometimes even the wrong products – could cause your skin to become weaker and less strong; this is not just applicable after a glycolic acid peel treatment, but a lesson for your skincare routine overall. To avoid using the wrong products and to get the most out of your skincare routine, it is always recommended to speak to an experienced dermatologist, who can provide you with the best products for your needs. Where Do I Book an Appointment for a Glycolic Acid Peel? Do you require an appointment for a glycolic acid peel? This treatment is provided by the Dr Lanzer Clinic! To make an appointment for this treatment, please call our friendly team via telephone, email, or the website contact form.